Today marks one year since my beloved mother passed away; the day one of the biggest blessings from Allah was taken away from us. Many people have asked me to write about her but as I would sit and think about her: her devout generosity; her compassionate upbringing; her sacrifice(s); her heart-warming smile, tender gazes and radiant countenance; her motherly reproach and ire; her wisdom, so so many recollections and memories surge that I involuntary tear and realize the difficulty of this task. Today, a year later, before iftar, once again I attempt to put pen to thoughts. As the one year anniversary of her passing approached, all I could I think about was her sitting on the living room couch, smiling as I would walk through the door. Just a few nights back, while reflecting over that thought, I fell asleep. In the dream I saw myself as a child in a desert on top of a hill crying at the pain of the loss of my mother. Suddenly, to my right I saw a young Prophet Muhammad (peace be upon him) sitting beside me. He pointed ahead and said, “This is where my mother passed away,” and then we sat together on the hill sharing tears. I consider this dream to be another gift from my mother. She became the reason I was blessed with a few moments with the Prophet (peace be upon him). Which has changed the direction of the flight of time. Now, who will wait for me, alas! in my homeland? Who will be anxious when my letter does not arrive? I shall come to the dust of your grave, bringing this lament. Now who will remember me in midnight prayers? The house of my forefathers was gifted honor. 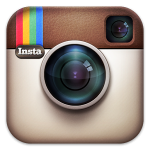 In the scroll of existence, your life was a golden page. And when I was able to serve you, you departed this world. My mother was born as Gheeta Patel on June 17, 1952, to a Hindu family in a small village of Soyani (7 kilometers west of Bardoli, Gujrat, India). Her parents Natu and Rukhi Patel had 7 children, of whom she was the second oldest. Her family was practicing Hinduism, and her community was religiously segregated. When she was 20 years old, she arrived in Chicago in November of 1973, to join her family. Due to miscommunication with her itinerary, she was stranded at the airport, where she met my father, Abdur Razak Kamani. She was inspired by his manners and took an inclination to his religion. Soon after, she accepted Islam and married him. She once told me that she became Muslim so that her kids can be inspired by the character and belief that she saw in my father. As a child, she had memorized the Bhagavad Gita: a sacred Hindu text. 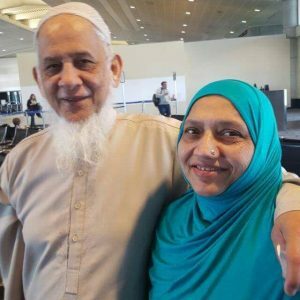 After accepting Islam, she had secretly made the intention to read the book from memory every night before sleeping; if she didn’t adjust to Islam, she could go back to her previous faith. The next day when she woke up, Allah had erased the text from her memory. She gave birth to five children; 3 boys and 2 girls. She dedicated and sacrificed her life for us so that we could become what she dreamed to accomplish herself. Her eldest son, Rehan, was only six years old when he tragically drowned. It was at this same age that my mother sent my 8-year-old brother Shaykh Mubeen and me overseas to study Islam. Both of my sisters Reshma and Halima spent their early life under her care and now serve the Deen. During the 15 years that I studied away from home, every time I would call her she would say, “I’m sitting on the sofa, looking at the clock, counting the hours until you come home.” Then when I graduated, she told me to move from our hometown of Elizabethtown, Kentucky to Chicago to serve the community there – once again sending me off. Everyone knew of her generosity, kindness, and never-ending du’as. If someone had done anything for her children, she would make du’a for that person every day in Tahajjud salah. Even though she couldn’t read Arabic, she would read the Qur’an in her mother tongue and hadn’t missed Tahajjud salah in 30 years. Sometimes, she would make certain du’as for me that I never thought I’d be able to live up to and she would say, “Allah will surely listen to your mother.” Her du’as were endless and full of sincerity. 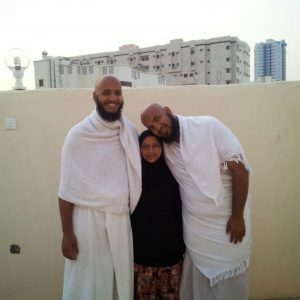 After the birth of my kids, I sent each of them to her house for a few weeks at a time, hoping they would be beneficiaries of the same du’as I had received. (If I was ever negligent in your upbringing, please forgive me). It was on this trip, a few days before Ramadan, a few hours before her flight to Umrah, that she suddenly, yet, peacefully passed away. Thousands of kilometers away, after completing her Tahajjud prayers, making du’a hours long, in the lap of a scholar, surrounded by huffaz reciting for her, with her tongue moist with the Shahadah, she left to meet her beloved Lord. Inna lillaahi wa inna elayhi raajioon. She went to visit the paradise of this world as she transitioned to the one in the Hereafter, Allah-willing! She lived most of her life in a small, isolated town, and when she passed away in a foreign land, only 15 people stood at her grave. She was unknown to the people of the world, but the Angels in the Heavens awaited her. The influence of her sincerity and du’as have reached the corners of the world and will continue through her children. The morning after she passed, my teacher Shaykh Yusuf Motala (may Allah prolong his life) marveled about how Allah chose her from such a small, unknown village and picked her to be a beacon of light for the entire ummah. He said that because of her sacrifice for the Deen, I will find her on the Day of Judgment next to the mothers of Imam Bukhari and Imam Malik. Return to your Lord, content with Him and well-pleasing to Him. Parents are like those trees which provide the comfort and shade from extremely hot weather. There is no “namul badal” of parents, specially mom. When in our school we had fight with someone, we used to share with our mom because she used to comfort like no other. When mom is not there who can provide the comfort to a child when he needs it. 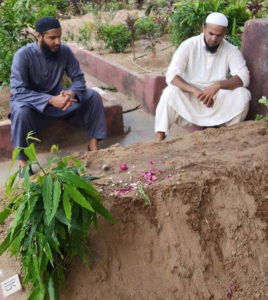 Mufti Sahab, you told us the story of Prophet Muhammad (P.B.U.H), when he saw the grave of his mother after so many years, he was sitting and crying for long time close to grave. You are very lucky that you spend so many years with your mom. She was very lucky to have sons like you and sheikh Mubeen. May Allah increase your mom’s Darajat in Jannat ul Firdose and give you and entire family sabar (Ameen). It’s been one year but sorrow of losing loved one feel fresh for many years. I have no words to describe what I just read. Simply beautiful. May Allah SWT grant your mother the highest place in Jannah. May Allah make all the mothers of the nation (ummat e muslimah understand their responsibility and fulfil it by the blessing of Allah. May Allah Guide all the Children of the nation to learn to be great full to our Parents. May Allah fill her qabar with noor. I feel as though I have known shaykhs mother forever. Last year when it was posted that she departed from this world I felt as though it was my own mum. What beautiful memories to hold on to. May Allah accept all her efforts and may He be pleased with her. May Allah accept your duas and reunite you with your mother. Ameen. Salam. SubhanAllah! Beautiful words for a worthy person. Heart touching! May الله be pleased with her & may الله grant her the highest level of success in all aspects for the life hereafter. امين إن شاء الله. May الله also grant you & your siblings the ability and ease to supersede her expectations, إن شاء الله امين . This is so beautiful. Jazak Allah khayr for sharing. So many wonderful lessons for us to learn from. May Allah Grant your mother Jannat al Firdous, & Grant you & your family sabrun jameel. Aameen. Assalamu alaikum dear Brother, this was incredibly moving to read. My Mother passed away a year before your Mother’s death. It will be two years this July. I don’t think you ever get over the loss of a a great blessing such as our Mother’s. When I miss my Mum the most, I remember how Allah’s mercy will always be here. That, however much my Mum loved her children, the sacrifices she made, the hardships she faced and the continuous ill health she endured her love and duaas for her children were constant…and now that she longer exists in this world, Allah will always be. Allah’s mercy is greater than a Mother’s and she returned back to her Creator. I miss my Mum’s cooking…I visit my Dad often and regularly but I cannot ever get over how Mum extended her love, through nourishing us. I’m in my 40’s, yet if Mum was alive and I stood next to her whilst she ate, she will always insist on feeding me with her own hands. The best food, served with the best loving hands. I pass this legacy onto my boys when I feed my two the way Mum fed us, and their words are always “we love you sharing your live when you feed us Mama”. May all those who have lost a parent be a testimony and sadaqah jariyah for their parents in the actions they fulfill, may your duaas for your parents be accepted, may our Mother’s rejoice in tranquility in the Hereafter and may we join them one day to embrace them forever. May Allah reunite all of us with our loved ones in Jannah. InshaAllah, may you and your sincerity be a source to crown your parents on the day of judgement. May Allah always bless, guide, protect, preserve and increase you in knowledge and make you the best resource for the community to learn. SubhanaAllah with tears ,what an amazing , inspired story❤️. May Allah swt gives her Jannatul Firdous . I have a sister also from Gujrat who became Muslim at the age of 20 in the states and live with my family before her marriage. MashAllah Now she has 4 beautiful sons. She is Also working hard to teach her kids best for this duniya and akhira.Alhamdulilah, all of her kids/ herself memorizing Quran. I do make dua for my sister too that may Allah gives her Jannatul Firdous in Akhirah. May Allah guide the right path to her children as your family is . May Allah swt gives your family Barakah always. Dear mom you are truly inspiring for me. JAK for writing this piece. Dunno what struck me the most.. if it is that God doesn’t make mistake or to be able to know what one really want for one’s kids -raising scholars & activists in this day n age- or what kind of parent one want to be or her personality or her life achievement at the eod.. her last comment to him killed me. Stranded at an airport…what seemed insignificant was the very key to their ‘now’. Read it after fajr today and that got me thinking.. I wrote a memo on it for myself for when my brain will forget that He is al Qadir al Hakim..even when we don’t understand, we should always trust His bigger picture. May He makes us beacon of light for ourselves and our ummah. She may not know but He knows I tremendously benefit from her sons.. May Allah swt be pleased with her. Ameen.